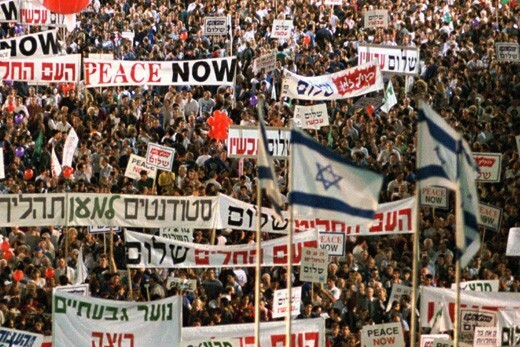 100,000 Israelis crowd Tel Aviv’s municipal square, 4 November 1995, in a show of support for the government’s peace-making policies. AP PHOTO / Nati Harnik. 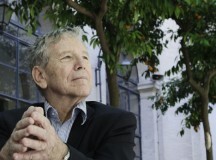 Almost twenty years after the signing of the Oslo Agreements between Israel and the Palestine Liberation Organisation, the time has come for a new paradigm if one thinks seriously of moving ahead in addressing the Israeli-Palestinian conflict. Israel’s upcoming election may now further this need for thinking outside the box, as practically all contending parties are still caught in the language of ‘solving the conflict’ that has until now failed to reach its declared goal. 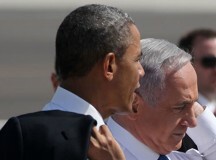 For almost two decades all Israeli governments, of the right and left, have tried but failed in this effort. It is easy to personalise the issues: Netanyahu is not interested in moving forward; Bush did very little to further negotiations; Obama misjudged the difficulties; Abbas has failed to create one legitimate political entity, able to speak on behalf of all Palestinians. All this is true, yet does not go far enough to explain the failure – some deeper and more structural issues are involved. The last time serious negotiations between Israel and the Palestinian Authority took place under the Olmert government no agreement was reached, despite almost two years of continuous meetings by top officials from both sides. When negotiations reached the core issues of the conflict – borders/settlements, Jerusalem, refugees and security – it became clear that the gaps were too wide to overcome. This is significant, as both sides at that time represented the most conceivably moderate positions, and went into negotiations with a sincere commitment to a two-state solution. 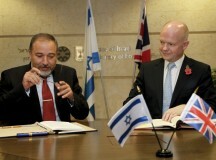 It was also in the political interests of both sides to reach an agreement. Had an agreement been reached, Olmert would in all probability still be Israel’s Prime Minister, and Mahmoud Abbas would have a trump card in his internal conflict with Hamas. The disagreements preventing a deal were fundamental ones. On Jerusalem, no formula acceptable to both sides could be found, and hazy ideas about some international involvement in the administration of the Old City and the ‘Holy Basin’ could not be translated into concrete arrangements. For the Palestinians, the ‘Right of Return’ of 1948 refugees and their descendants (Ouda) continues to be a major building block of their national narrative. Even if the Palestinians were ready to negotiate numbers, they insisted on the principle, which to Israeli negotiators meant undermining and delegitimising the Jewish nation-state. And for Israel, the government insisted on some presence in the Jordan Valley and a complete demilitarisation of the future Palestinian state, which was rejected by the Palestinians as emasculating its sovereignty and independence. Moreover, no territorial swaps could address the issue of settlements and borders. As the Palestinians insisted on a full return to the 1967 lines, no Israeli government could conceivably evacuate a quarter of a million settlers. These fundamental disagreements have not gone away. Even if negotiations between Israel and the PA are resumed, it is inconceivable that what was not acceptable to Olmert would be acceptable to a future Israeli government under Netanyahu. Or that a PA, emboldened by its support at the UN General Assembly, will be more flexible now than it was four years ago. When one recalls that for all the US pressure on both Israel and the Palestinians, President Obama’s special envoy, Senator George Mitchell, was not able in more than three years to even bring Israel and the PA to the negotiating table, it is unrealistic to imagine that negotiations, even if resumed, would end in something else other than failure. This would further exacerbate enmity and hatred on both sides, as did the failure in 2000 of the Camp David conference convened by President Clinton. If this is the case, what can be done? Perhaps a lesson can be learned from how similar conflicts have been addressed. It is clear that the Israeli-Palestinian conflict is both complex and multi-faceted, which is why – in part – a solution remains intractable. For obvious reasons, the territorial aspects have been seen as the major bone of contention between the two parties, but this is only part of the story. 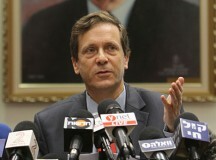 The conflict is also between two national movements and two historical narratives; it is about legitimacy and sovereignty; it entails military occupation, settlers and terrorism; it is not a religious conflict as such, but it has religious dimensions, which exacerbate it; and it involves, in one way or another, neighboring countries. Viewed through this prism, the Israeli-Palestinian conflict is similar to the conflicts in Cyprus, Bosnia, Kosovo and Kashmir. All of them have the same complex ingredients, though the intensity may differ, a divided Nicosia or Mitrovica has less historical and emotional resonance than a divided Jerusalem. None of these conflicts have been resolved or seem likely to be resolved any time soon. The Annan plan for Cyprus, supported by the UN, US, EU, Russia, even Turkey and Greece, fell flat on its face when one player – the Greek Cypriots – rejected it; the Dayton agreements stopped the killings, ethnic cleansings and rapes in Bosnia, but failed to establish the envisaged multi-ethnic, multi-confessional confederate Bosnia-Herzegovina; Kosovo achieved its independence, but because Serbia has not accepted it yet, the conflict has not been resolved; and the dispute over Kashmir is also not close to being solved either. Yet in all these cases, the absence of conflict resolution and the failure to reach a comprehensive, final status agreement has not prevented partial, step-by-step measures aimed at confidence-building and de-escalation. Some of these steps have been unilateral (as in the Turkish decision to open the crossings in Nicosia) or negotiated through a third party (as in the recent cross-border arrangements in Kosovo). To use political science jargon, none of these conflicts have been resolved: their aims are more modest: conflict management, conflict attenuation or conflict de-escalation. At a time when the EU cannot solve Kosovo, it is presumptuous on its part to imagine that it can solve Israel-Palestine. Similarly, at a time when the US cannot make Serbia accept Kosovo’s independence, it is unrealistic to imagine it can push either the Israelis or the Palestinians, supported as they are by all Arab League countries, to make the concessions neither side is willing to make. Playing the blame game does not move the conflict one inch closer to a resolution. What is needed is a paradigm change – a realisation, difficult as it may be, like in Cyprus, Kosovo and Bosnia that at the moment there is no possibility of reaching a final status agreement. So in the case of Israel-Palestine there are numerous ways to diminish the conflict, to achieve partial agreements and to create a less tense atmosphere, which may eventually help in bridging gaps that at the moment appear unbridgeable. There would be numerous steps that could be taken both by Israel and the PA in this direction, but if the international community continues to insist on a final status solution it will continue to undermine the chances of a less ambitious but more realistic approach to the issues involved. There is another lesson to be learned from a previous failed attempt to move towards a final status agreement: when at Camp David in 2000 President Clinton failed to reach an agreement between Prime Minister Ehud Barak and Chairman Yasser Arafat, the consequences on both sides were not only frustration, but a heightened level of enmity, hatred and fear. This is a cautionary tale to all those who advocate another attempt at final status negotiations. They should bear in mind that the outcome of such another failure will not mean a return to square one, but may push both sides closer towards the abyss. Another failed attempt could further widen the gaps and deepen suspicion on both sides – there are penalties, both politically and psychologically, in failure. to resolve the entire conflict.